In a digital MMDS system, each 6 MHz wide frequency slot (8 MHz in PAL) can carry from 6 to 15 TV programs. The Subscriber Management System The Billing System. The typical subscriber equipment consists of an outdoor integrated antenna + downconverter connected through a coaxial cable to the subscriber’s home wiring or directly to the STB (Set Top Box), which in turn feeds the subscriber’s TV set. Several types of outdoor units are available, depending on required antenna gain, size, and features such as interference-reduction filters, etc. The type of set-top decoder used is determined by the CAS (Conditional Access System). 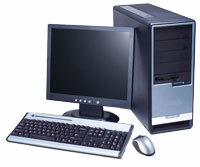 The Transmitter System includes the broadband transmitter as well as the antenna and accessories. The Transmitter converts the broadband signal provided by the digital headend modulators to the transmit microwave frequency (typically in the 2500 to 2586 MHz frequency range) and amplifies the resulting microwave signal to the power level desired for transmission. 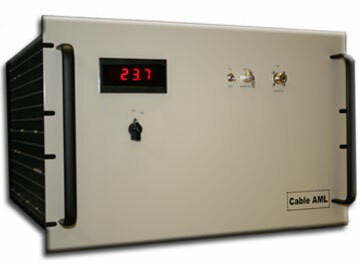 Cable AML’s MMDS broadband transmitters feature linearization circuits for maximum power with minimum distortion. The transmitters are usually located near the antennas to minimize signal loss through the transmission lines connecting the two.The Antenna and accessories include the the antenna itself; the cables and waveguide connecting the transmitter to the antenna; and the pressurization system for the antenna, if required. The radiation pattern of the transmitter antenna (polarization, elevation and azimuth coverage, electrical tilt and gain) have to be selected to match the desired geographical coverage for a given transmitter height and location. If the transmitter is a distance away from the Headend, Cable AML can provide broadband microwave links to transport the video signals from the Headend to the transmitter. The CAS allows the operator to control which subscribers are authorized to decode programs and also which programs each subscriber is authorized to watch. Ability to remotely disconnect the signal to non-paying subscribers. Signal security to stop unauthorized users. Possibility of offering different programming tiers. Possibility of offering Pay-Per-View (PPV). 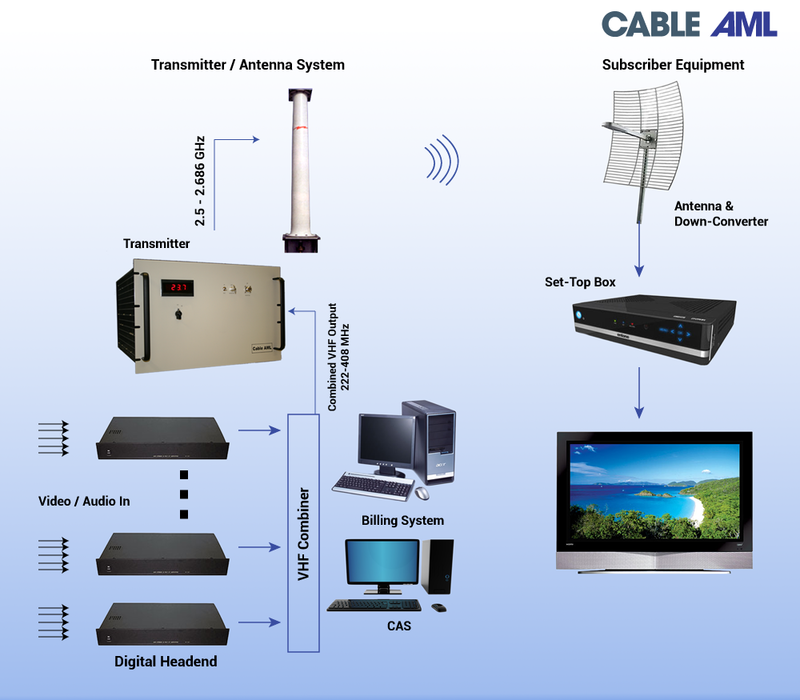 Cable AML offers the CAS system, which has been specifically optimized to provide digital MMDS systems with a high level of functionality and high security at a reasonable cost.